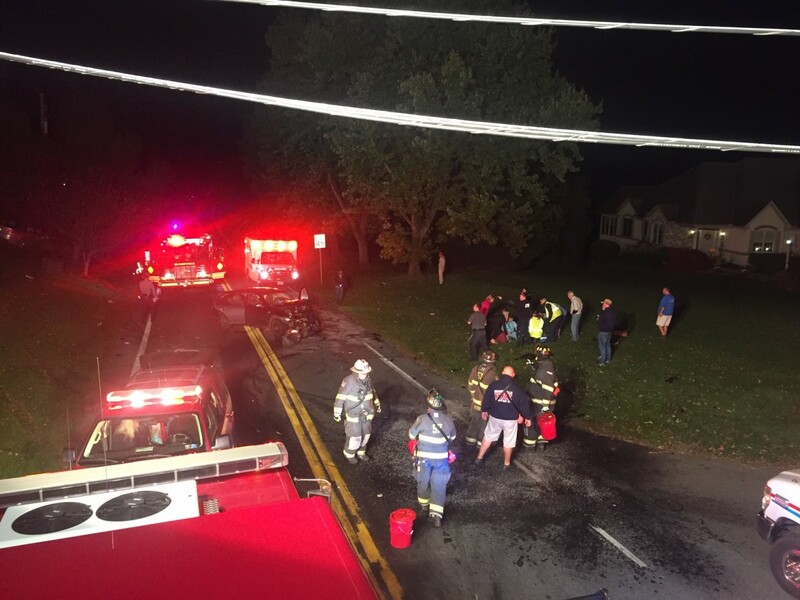 While Engine 574, Rescue 57 and Truck 57 were out in our community during trick or treat, the Company was alerted to a vehicle accident at the intersection of Scotland Road and Tanglewood Drive in East Drumore Township. 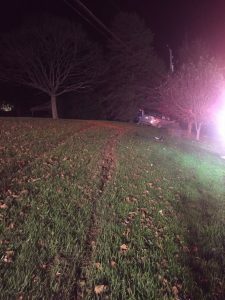 Chief 57 arrived with a two-vehicle accident with major damage and multiple patients. 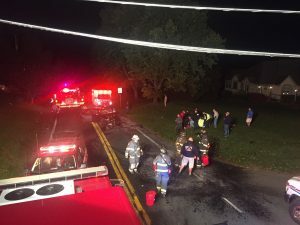 EMS, Fire, Fire Police and PA State Police units arrived and worked together to triage and treat the victims (7 in total), perform hazard control, detour and direct traffic and investigate the accident. 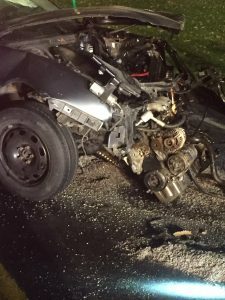 As you can see in the pictures, the motor of the one vehicle was completely ripped from the car, with the oil covering the roadway. The scene was placed under control, and the vehicles were removed by Lewis Auto and Truck Repair Inc.. 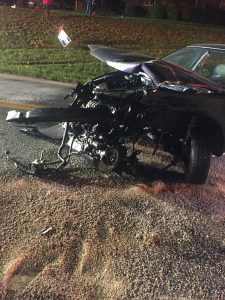 Thanks to everyone who stopped by while we were out during trick or treat, and to everyone who assisted on the accident.